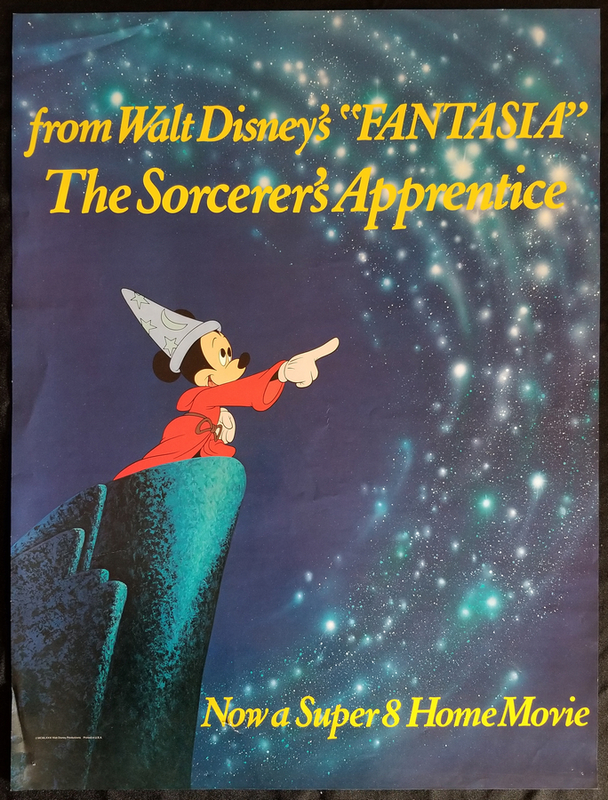 This is a 1970s promotional poster promoting the release of Walt Disney's Fantasia on Super 8. This poster would have been designed for video stores to advertise the new product. The poster measures 25" x 19" and is in good condition with minor edge/corner wear, and some minimal dimpling/wrinkling.